Alohahawaiionipaa.org is a secular public charity under Section 170 (b) (1) (A) (vi) of the Internal Revenue Code and works with and supports persons regardless of race, color, creed, religion, gender or political preference and is supported largely by voluntary contributions from friends of the Foundation who share its vision of a better world. It supports specific charitable purposes which include, but are not limited to, furthering women’s health, education, and to bettering the lives of largely Native Hawaiians through social interactions with people from around the world and through the support they may provide in alleviating poverty and in keeping the Hawaiian spirit, culture and heritage alive and flourishing. Your donations are exempt from US Federal Income tax under sections 501 (c) (3) of the code. You may also assist with tax deductible bequests, transfers or gifts under section 2055, 2106, and 2522 of the code. The Foundation’s daily operations are supported largely by voluntary contributions from friends of the Foundation who share its vision of a better world. None of our dedicated friends, volunteers or board members receive any type of remuneration for their services so that the Foundation’s overhead is truly minimal. Special appeals for donations will be made for visionary “We Have A Dream” projects such as the proposed Hawaiian Cultural Center in Waikiki that will provide a “Window to the World” for supporting and perpetuating the Hawaiian culture. Continuous dissemination of factual Hawaiian Kingdom history and support of cultural programs. Establishing a data base for the Hawaiian Cultural Center Village signature drive. Supporting of the Scholarship Fund and activities of the Waimanalo Civic Club inclusive of its yearly Makahiki festival. Participation in the World Environmental Congress also known as IUCN or International Union For Conservation of Nature. Supporting the Throwback fundraisers for Hawaiian Musicians. Supporting projects of the Conservation Council for Hawaii and its annual meeting. 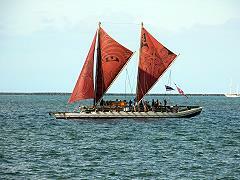 Following the exhilarating homecoming of the Hokule`a fleet. Encouraging/supporting our guests to visit the Bishop Museum and its many exhibits. To refocusing our goals after the stolen Presidential election and its detrimental effects on the environment and the hopes and aspirations of indigent people and people of all color. It was a busy and challenging year. We must not lose hope. 41-1135 Waikupanaha St., Waimanalo, HI 96795-1184, U.S.A.